I got this app towards the end of the year, so I was not able to work with it a lot. 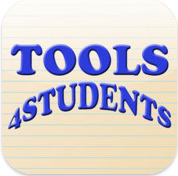 It is a great tool for helping kids create graphic organizers and they email nicely. It has 25 different types of organizers to use! My class found it very useful.